In most of my prior driver’s license restoration articles, I have broken down and examined what actually happens in a Michigan license reinstatement or clearance appeal hearing. I’ve also written articles covering the all-important prep session I have with every client before he or she walks into the hearing room. In this article, I want to go beyond the mechanics of the hearing itself and dig deeper, into its real meaning and purpose. Procedurally, a hearing mostly involves answering questions. Depending on which hearing officer is presiding over it, most of the questions will either be asked by him or her, or by the lawyer, instead. Every hearing involves a certain number of the same core questions, although each hearing officer has his or her own particular areas of interest. For example, if a person answers that he or she still goes to AA meetings, one hearing officer may ask something about the steps, a second may want to know how often he or she attends, while yet another may just say “okay,” nod, and then move on to a different subject. One of the most important things I try to get across to my clients as we start our prep session is to relax, because I think there is a huge overestimation about the importance of the hearing. To be sure, this is a critical step and nothing about it can or should be overlooked, but this general idea that somehow, when a hearing begins it suddenly becomes “SHOWTIME!” is all wrong . As I want to make clear in the next paragraphs, the hearing itself is really nothing more than just an opportunity to tell your story and answer questions about it. It may sound trite, but as long as we’re going in to tell the truth, then there is absolutely nothing to worry about. To begin a license appeal case, you must file, amongst other documents, a substance use evaluation and letters of support. In my office, each new client meets with me for about 3 hours before going to have his or her evaluation completed. It’s at this meeting that we begin to sketch out the details of his or her recovery story. Believe it or not, when this is all done right, the essence of your recovery story will make it into the evaluation. Since most of my clients are not active in AA, they don’t tend to think in terms of their transition from drinker to non-drinker as a much of a “story,” but it really is. Part of what I do in that first meeting is to explore with my client how he or she came to the decision to quit drinking and the changes that followed. As we do that, a real story begins to take shape. Remembering things – some long-forgotten and others just boxed away – can be an emotionally powerful experience. The reader would likely be surprised by how many tears I see on a weekly basis. I’ve had countless big, strong men tear up at the Secretary of State hearing office as they talked about the end of their drinking career, or the damage they had done to the people around them as a result of it. This isn’t weakness, but rather a sign of inner strength and a new self-awareness about the benefits of sobriety and positive life changes. I call stuff like this “magic dust,” and I want to get ahold of some of it and sprinkle it on our case. These strong emotions cannot be faked, and when they get translated into the evidence of a case, or, better yet, when they come out at a hearing, they underscore the truth of a person’s transformation. This is why my first meeting takes 3 hours. I don’t bum-rush things to hurry up and fill out paperwork. As much as I use this time to discover my client’s story, in many cases, my client is kind of “discovering” his or her own story with me. I’m good at this. It is precisely this attention to detail and the belief that there are no shortcuts to going things right that enables me to guarantee to win every case I take. Yet for all of that, our case must be based upon true sobriety. This whole truth thing is huge. This isn’t to suggest that I fear any of my clients NOT telling the truth, but it’s important to bear in mind that the real meat and potatoes of a license appeal is that a person has honestly quit drinking, and for good. I’m sure the hearing officers see plenty of people trying to BS their way through the process. although not with me, in large part because of my guarantee. This makes sobriety a non-negotiable requirement for me to get involved. Anyway, the larger point here is that if you really have quit drinking, then I can handle all the other details. The inescapable truth is that no one quits drinking because it’s working out well. People quit drinking because it’s doing (and has usually done) all kinds of damage. Most will try just about everything to control their drinking, and only stop when they realize that doesn’t work. Even if you’ve never thought about it before, this is part of your story, and it’s in there – in all those details about how your drinking became a problem, how you struggled with it, how and why you finally quit, and how things changed in the time since. This is the kind of stuff that is the essence of a real recovery story. A key part of my job is to pull it out, shape it, help you put the words to it, and then translate it into a winning license appeal. First, we need to get that story fitted into the framework of the substance use evaluation, and we begin that at our first meeting. Then, to a certain extent, we need to get some of it into the letters of support. When these things are done right, your case filing will tell a story. Again, the whole element of truth is important here. My role is kind of like the conductor of an symphony orchestra. The conductor does not compose the music; instead, he or she interprets what has already been written. The conductor is only as good as what he or she has to work with. Given a good score and talented musicians, things will play out beautifully. In much the same way, I take a story that has already been written and make sure it comes out a winner. I often tell my clients, as we begin our pre-hearing prep session, that for the most part, these cases are won or lost on paper. In other words, the substance use evaluation and the letters of support must be done correctly and otherwise be favorable and good. If something has been overlooked in that regard, it’s way to late to try and “fix” it at the hearing. The hearing, in that sense, is really little more than an opportunity for the hearing officer to confirm that the person described in the evaluation and portrayed in those various letters of support is the person who shows up before them. In other words, the goal is for the hearing officer to verify the truth about what has been written. When you’ve told the truth, there is nothing to get nervous about. A hearing isn’t like some gymnastics competition where, if you slip up once, you’ve lost. Nor is it like some kind of mathematics contest, where you have to remember different formulas, or else you’ll screw everything up. Here, you just tell your story. When you’re asked about it, you don’t have to worry about making it sound good; you just tell it like it is. Because we will have already done that in the evaluation and letters, that’s all the hearing officer is really expecting. In that sense, when the evaluation and letters have been done correctly, all you need to do is show up and be “that guy” or “that woman” who is described in those various documents. Of course, the whole process sounds easy, but in truth, it does take a lot of good, hard work to make even the best case a winner. That’s my job. From the client’s side of things, all you need to do is be honest and tell your story. And relax. Often enough, people form all kinds of dreadful notions of what takes place at a hearing. The hearing officers are not sharks, BUT, and this is important, if they do get a sense that someone is BS-ing them, then things are going to go badly. The hearing officers are not mean-spirited, and it’s not like they take any pleasure from denying appeals, but their job is to try and make sure that only people who can prove they’ve quit drinking and are a safe bet to never drink again get back on the road. The simple fact is that loads of people who aren’t committed to sobriety still try to win back their license by filing an appeal, either on their own, or with some lawyer who doesn’t know better. It’s the hearing officer’s responsibility to keep these people from getting through. I. That the petitioner’s alcohol or substance abuse problems, if any, are under control and likely to remain under control. The rule, then, begins with a negative mandate (The hearing officer shall not…) that essentially instructs the hearing officer to look for the 1 reason to deny an appeal, rather than the 99 reasons to grant it. Moreover, the rule requires your proofs (evidence) to meet the “clear and convincing evidence” standard. I’ve gone over that in other articles, so we’ll skip the discussion of it here beyond pointing out that when you hear a “horror story,” about someone who was really sober but lost his or her case anyway, it’s almost certainly because their evidence wasn’t good enough. Winning a license appeal requires a lot more than simply saying you’ve quit drinking and intend to remain alcohol-free. The rules requires that you present certain proofs, and those proofs must meet a very demanding and specific legal standard. When that’s been done properly, however, the hearing isn’t a big deal. Indeed, even with all the variables, it will unfold far more easily and naturally that you can probably imagine. I can say that all day long, but it’s only natural for a person to be a bit nervous anyway. After more than 27 years, however, I know how to get my client past those jitters within a few minutes. And it all comes back to the idea that once a person realizes that he or she has to do is tell the truth, then they’ll get comfortable, or at least not be overly nervous anymore. 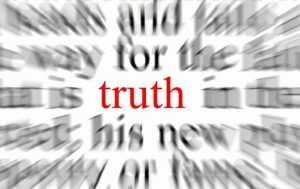 To the extent that the hearing officer’s job is to determine the truth, then the better he or she is at, the better for us. If you really have quit drinking and now live an alcohol-free lifestyle, what’s to worry about? When you think about it, the only people who have anything to fear are those who are NOT telling the truth. The truth is really the foundation of the whole license appeal process, and the basis for and most important facet of the hearing. If you are looking to restore your driver’s license or clear a Michigan hold on your driving record and you really have quit drinking, I can get you back on the road, guaranteed. When looking for a lawyer, do your homework. Read around, and then ask questions. All of my consultations are confidential and done over the phone, right when you call. You can reach my office Monday through Friday, from 8:30 a.m. until 5:00 p.m. (EST) at 586-465-1980. We’re here to help.